Now you can get flooring staples with the strength and holding power you need to build a floor you can depend on. 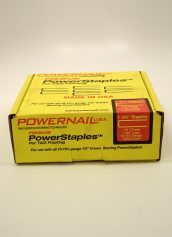 Carbon Steel Powerstaples are designed for use with the Tongue and Groove PowerStapler 445FS, but can be used with all 15 to 15.5 gauge 1/2 Inch crown flooring PowerStaplers. 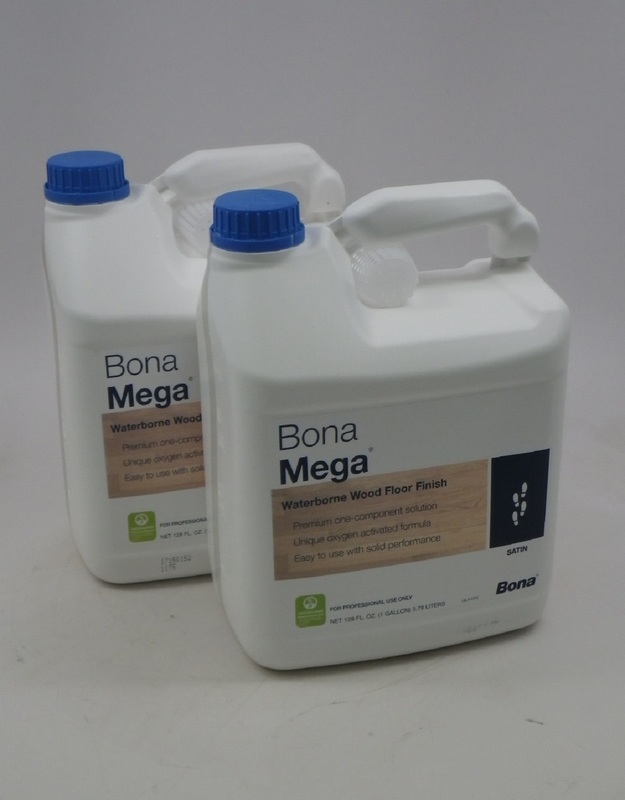 Now you can get flooring staples with the strength and holding power you need to build a floor you can depend on. 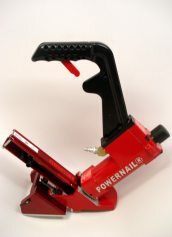 Carbon Steel Powerstaples are designed for use with the Tongue and Groove PowerStapler 445FS, but can be used with all 15 to 15.5 gauge 1/2 Inch crown flooring PowerStaplers. 2 Inches Long, Box of 5000. Now you can get flooring staples with the strength and holding power you need to build a floor you can depend on. 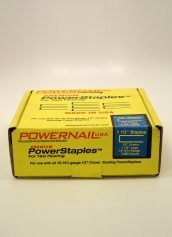 Carbon Steel Powerstaples are designed for use with the Tongue and Groove PowerStapler 445FS, but can be used with all 15 to 15.5 gauge 1/2 Inch crown flooring PowerStaplers. 1 3/4 Inches Long, Box of 5000. 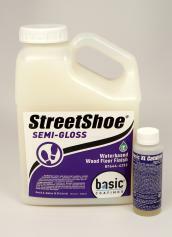 Now you can get flooring staples with the strength and holding power you need to build a floor you can depend on. 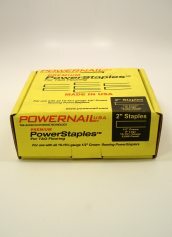 Carbon Steel Powerstaples are designed for use with the Tongue and Groove PowerStapler 445FS, but can be used with all 15 to 15.5 gauge 1/2 Inch crown flooring PowerStaplers. 1 1/2 Inches Long, Box of 5000. 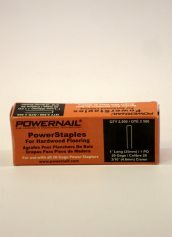 Powernail 20 gage flooring staples for use with the Powernail Model 20FS Pneumatic Trigger-pull Staplers. 1 Inch Leg by 3/16 Inch Crown. Each carton contains 2500 staples. Powerstaples are available in 2, 1 3/4 and 1 1/2 Inch leg lengths with 1/2 Inch crown to accommodate 1/2 to 33/32 Inch Tongue and Groove flooring installations.